Protect your property from mold damage or costly frozen pipes with a handy La Crosse Alerts Remote Temperature and Humidity Monitor. This indoor/outdoor wireless monitor provides 24/7 remote monitoring of temperature and humidity conditions in areas around your home, office, computer room, vacation home, or rental property. Should the temperature or humidity level exceed your preset range, you’ll be alerted promptly with an early warning by email notification or mobile APP so you can take fast action to shield your property from expensive damage and repairs. 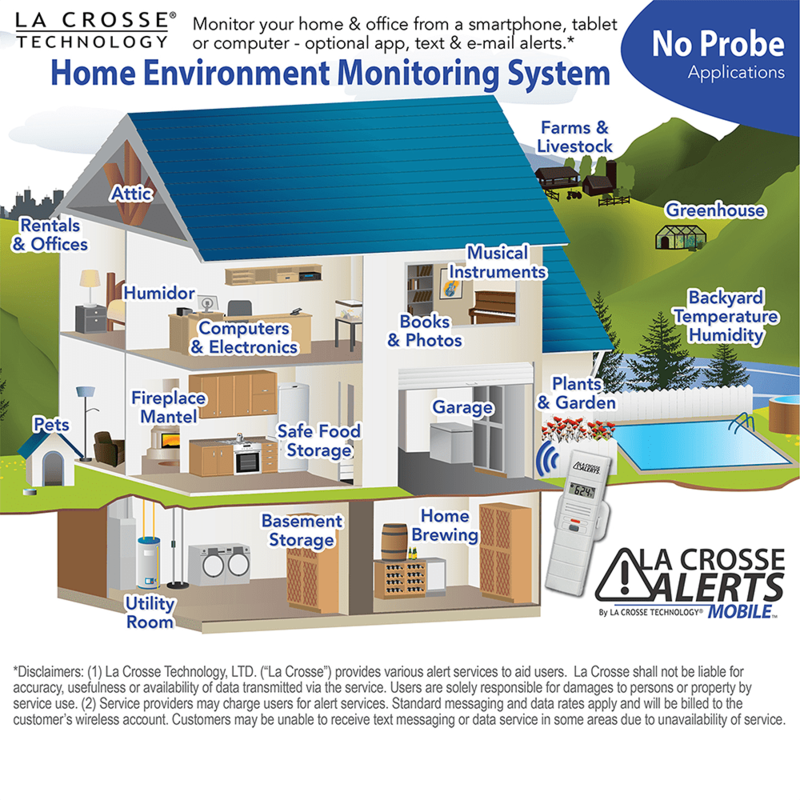 La Crosse Alerts Mobile Monitoring Systems are designed for use with your smartphone, tablet, or computer.